Why Students Should Have Consistency At School? We don’t really like it when rules start to change and we want things become perfectly dependable. Students are no different and as younger people, they feel that they depend more on things. Younger children don’t have the level of control many adults do, especially when things have gone wrong. It is important for them to gain consistency. In this case, it is important for teachers to provide a kind of consistence in the classroom, especially through routines. Through the implementation of routines, teachers should be able to ensure better consistency in the classrooms. Class operations will be also uninterrupted and become much smoother. If carefully taught, routines should save a great deal of time. Students will know what they can expect and what they should do in different situations. 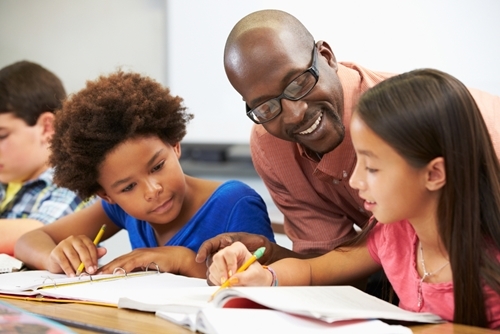 Teachers will be able to spend more time on teaching, instead of disciplining and organizing. With clear routines regularly implemented, children will always know what they should do at the start of the day. They will also know what to expect at the end of the class. They will follow the usual procedure that is involved with every activity and transition. They will know how to come up with finished works. Students who follow predictable routines will behave better during field trips, practical works, group works and toilet breaks. They have become fully automated through the well practiced and explained routines. However, consistency in school is much more that just what will happen in the classroom. It is essential for the school to run smoothly across the board and all staffs should do things based on specific routines. It is important to create stability and order in schools where routines and policies are properly upheld. Unfortunately, what works for one classroom may not work for another. For this reason, it is important to determine the characteristics of each class and staff should be able to develop effective strategy that most or even all classes can adopt. Students should be able to see consistency also by seeing how more senior students do things. Watching others at work should be a great way to learn from others. They can have the opportunity to observe friends. Both students and teachers should be able to do things well through trial and error. When students have gone to forward to higher classes, they should be able set up team-teaching initiatives and properly show examples. This should help to establish whole-school consistency. It doesn’t really need a cutting-edge technology to address some of the consistency problem, because students, teachers and staffs could come up with easy, but effective solutions. Consistency is more than just providing clear school rules, but it is also about providing patterns that students can easily recognize. This will also help teachers, because they can tackle behavioural problems and teachers should be able to respond to problems in different ways. Teachers who yells and screams when they see minor offenses, but seems to be ignorant to bigger problems at school won’t provide the kind of consistency that children want.